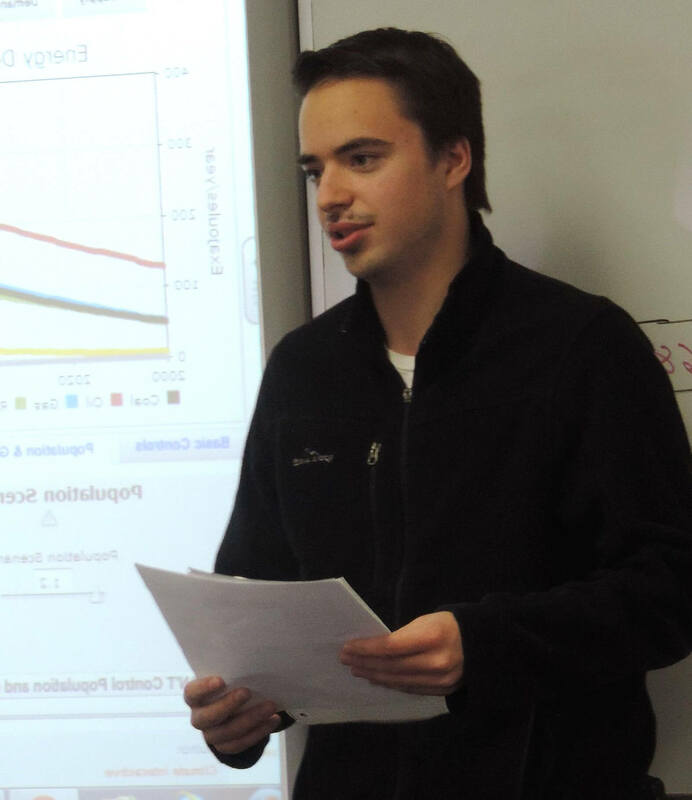 For years, we have heard and seen that the World Climate Exercise delivers deep learning about climate change and often motivates participants to action. Now, thanks to support from the US National Science Foundation, we are collecting the data to show just how effective this experiential learning tool is. If you are a World Climate facilitator would you help us with this study? 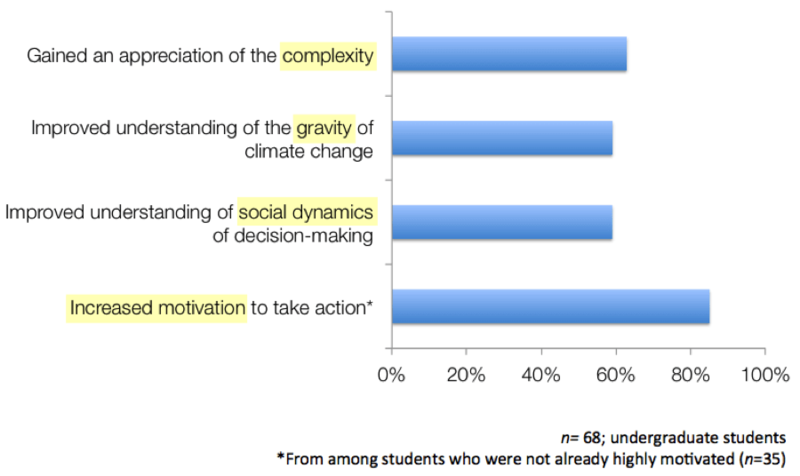 World Climate is education for action – 85% of respondents said that their World Climate experience increased their motivation to take action on climate change (out of those who were not already highly motivated). People remember their World Climate experience for a long time – 89% of the survey respondents remembered World Climate, as well as the key insights they gained from it, one to four years later. World Climate delivers key systems thinking insights – from the complexity and inter-relatedness of the climate system and human decision-making, to the behavior of the atmospheric stock of carbon dioxide in response to emissions. We will be explaining the methods and results of our work in more detail in several forthcoming manuscripts. If you are interested in leading the World Climate Exercise, please join us in the World Climate Project, which is disseminating this tool to people worldwide ahead of the COP21 Paris climate change negotiations.